Harpers Mill is a 1200 acre master-planned community outside of Richmond, Virginia. Littleton created an innovative and strategic brand vision that transformed Harpers Mill from being the community with the least amount of home sales to the top-selling community within three years in Richmond. Our goal was to design a campaign that would stand apart from all other area master planned communities and relate to our target markets. We made Harpers Mill the FUN place to live. The community has won best-marketed community for the last three years by Richmond HBA. This master-planned community is unique as it incorporates a lifestyle that has not be experienced in the Triangle market. A strategic rebrand of this community was created in late 2016 with the focus on promoting learning, connectivity, health and personal growth which aligned to lifestyle expectations. Sales have increased from 9 sales in 2016 to 144 in 2018. 5401 North has won MAME awards (Triangle Homebuilders Major Achievements in Marketing Excellence) for best website, best print direct mail piece, best online ad, best special promotion, best welcome center, best signage, best E-newsletter and Best of the Best marketing. When entering this community, our goal was to create an experience that evoked a sense of community and possibilities. The vision included a seamless integration within the surrounding area and historic Wake Forest; provide exceptional amenities that promote a happy and healthy lifestyle for the residents; and offer a diversity of homes and price points. Traditions continues to be the top-seller in Wake Forest. 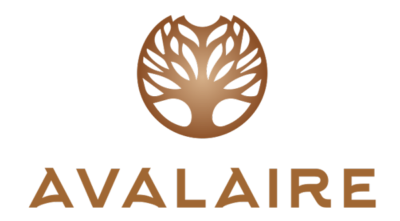 Avalaire is a luxury home community in North Raleigh with custom homes from one million and up. It was critical that all marketing reflected a very upscale brand and appeal to both a limited consumer and realtor target markets. Avalaire is now the Triangle’s best-selling million plus community. Introducing a new custom builder in a market with extensive competition can be daunting. We knew our brand had to feel different, look different and have a message that resonated to a very upscale market that represented the builder’s mission, core values and experience. Blue Heron went from zero to over 11.5 million in sales in 2018. In 2011, Metcon was a one office localized commercial builder. Littleton did a rebrand that was more corporate and represented their company’s extensive strengths and capabilities which ultimately lead to an expansion of geographic markets and commercial opportunities. Today, Metcon has 5 offices in North and South Carolina with over 650 successful projects and have won numerous awards.